Car accidents can be devastating and cause severe injury. When victims are injured and the driver who caused the accident decides to flee the scene, they are acting in a criminal manner. They could be leaving people behind to suffer and not get the medical care they need. On June 4, the Worcester Police Department received a report of a hit-and-run accident with reported injuries. The accident occurred around 5 in the evening and involved two vehicles. Emergency personnel responded at the scene shortly afterwards and found that one of the drivers involved had fled the scene after the crash. The incident occurred at the 1st block of Washington Square. Upon arrival, first responders administered care for the victims who remained at the scene. The extent of their injuries is still being determined. However, no fatalities were reported. While the cause of this accident is still being investigated, it is important to remember the potential impacts of reckless driving. Hit-and-run drivers are acting criminally when they leave the scene, and these actions can be hard for victims to understand. When these accidents occur, victims have the right to seek compensation and assistance for their injuries. 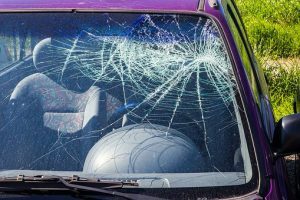 At the Law Offices of Jeffrey S. Glassman, we are aware that some car accidents can involve major injuries and leave victims suffering. As members of the community, we are dedicated to raising awareness about the impacts of reckless driving. When these accidents occur, we are also passionate about helping victims recover their losses and move forward with their lives.